Provide a truly gourmet play experience! Little chefs can prepare and serve all their favorites with this super-size set of pots, pans, utensils, and dishes. Bake cookies, prepare dessert, or plan a tea party! 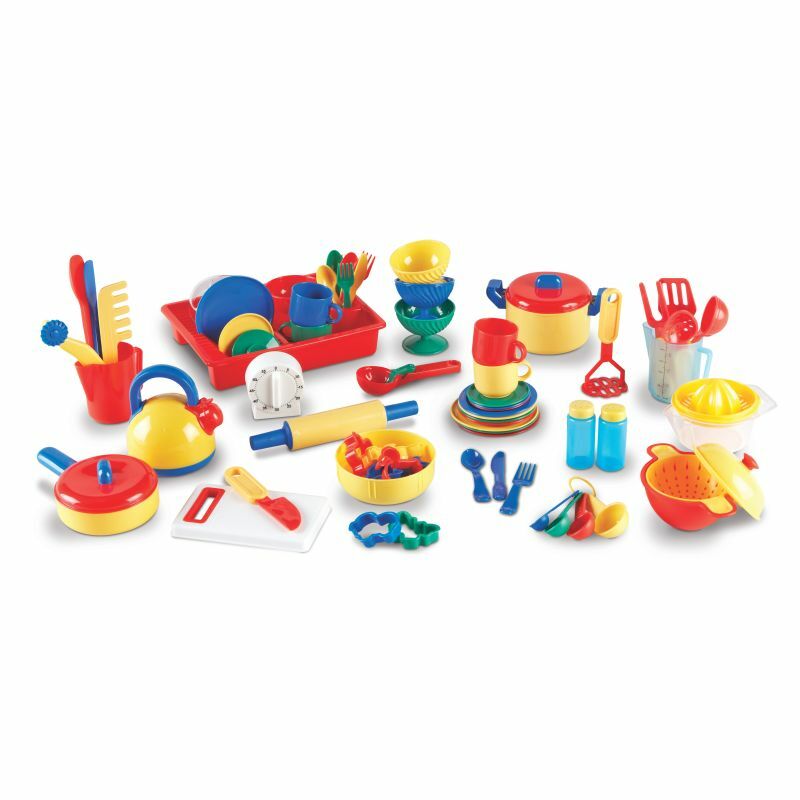 Remember to clean up afterward–this set includes a dish pan especially for pretend washing up! Includes 73 durable pieces. Largest piece (dishpan) measures 9 5/8″L x 7 1/2″W x 2″H.